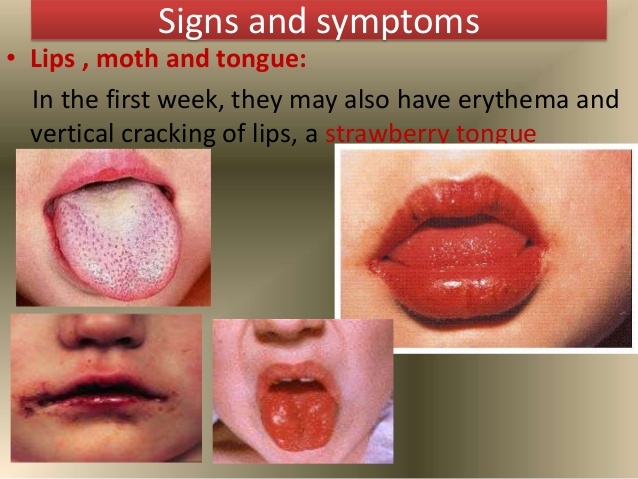 Kawasaki Disease is mainly developed in kids under the age of five and especially in the summer and spring season. If not diagnosed in the early stage it can cause serious heart problems in children. Causes of Kawasaki Disease is still not very clear but yet many assumptions are made by specialists as its possible reasons to occur. KD is also known as Mucocutaneous Lymph Node Syndrome as because it affects the skin, lymph nodes & mucous membranes inside the mouth, throat, and nose. Children under the age of six months don’t get inflamed. It occurs mostly in kids above six months and under the age of five. The vessels of arteries get inflamed especially the coronary arteries get affected out of it which supplies blood to the heart mussels. Generally affected children get completely relieved after proper treatment. Only three percent of cases came in front where reoccurrence of Kawasaki Disease is diagnosed even after the complete treatment. But these kinds of cases are very rare. Some scientists say it is caused by one especial virus which affects to kids. This virus causes infection in the body especially in artery inside the heart area. It is caused by low immunity power of children when they are weak to fight the diseases. Some bacteria’s attacks on the body cause the Kawasaki Disease. As per some of the well-known specialized doctors, it occurs due to environmental factors. Dust and pollution affect the infants badly causing infection in their body. Some genes are susceptible to create the condition for Kawasaki Disease. Inflammation of the arteries in the whole body of kids causes Kawasaki Disease. The coronary artery which helps in supplying blood to heart get inflamed causing problem to heart, which can be severe if not get proper treatment. 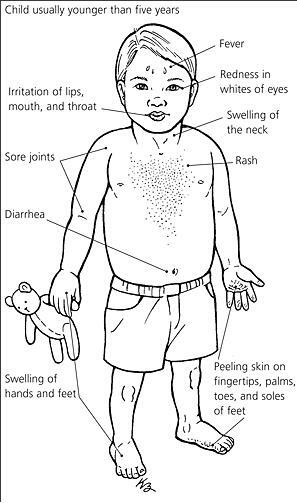 Infection due to some virus attack causes Kawasaki Disease. When autoimmune working disorder happens it attacks the body’s own tissues which are in good condition and breaks them which is further developed as Kawasaki Disease. There is a conflict regarding the exact cause of Kawasaki Disease but as per some researches reports it caused by some of the infected bacteria whereas some other reports say it caused by an infected virus destroying good tissues in the body of children. The Kawasaki Disease causes inflammation in body especially in heart arteries of children under 5 years old. Its symptoms get developed in the different phases. Basically, more than five days of illness is considered as the first sign of KD. During different phases of KD changes in health condition are observed which helps in determining the diagnosis and treatment procedure for the affected kids. If not treated in its initial phases then it can cause severe heart problems like heart failure etc. Here we will elaborately discuss the different phases of Kawasaki Disease symptoms which will help you to understand it clearly and its development procedure. A serious illness occurs and lasts for five days in your kid. The fever temperature ranges more than 102.2 F.
Changes in eye color especially pink or red and there is no thick discharge. Rashes appear on the skin and genital area. The extreme change in tongue color just like a strawberry. Lips get completely dry, swelling occurs and color turns to be deep red. Skin color gets changed. The palm of the affected child turns to be a red color and the soles of feet also get reddish. The lymph node in the neck gets inflamed. Often irritation occurs in the children. Peeling occurs in the skin of the hand, fingertips, foot, and toes. A frequent problem of Diarrhea. Severe pain in abdominal area. Pain in the joints is observed in little children. The third phase starts from the 22nd day of symptoms continuation and lasts for near about 60 days. In this phase of Kawasaki Disease, the symptoms slowly get low unless any further complications occur. Under this stage, energy level gets recovered. Once you see these symptoms in your child, don’t make any further delay otherwise in the lack of treatment the arteries of the heart of your child get damaged due to clotting or blockage in it, as blood flow is obstructed. Once after diagnosis, the Kawasaki Disease found in a child immediate treatment should be provided in order to prevent further health hazard in the form of heart damage. If you find symptoms of KD in your child your first step should be to go for complete diagnosis as per the doctor. 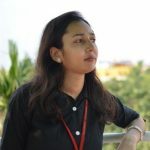 AS of date, there is not any fixed test for KD but on the basis of similarities to its few symptoms, the doctor recommends for different lab tests. They initially look for following symptoms to be matched before recommending for complete diagnoses. Fever lasts for more than five days. Eyes get red and swollen. Palms of hand and heals of feet get completely red. Lymph nodes in the neck get enlarged. If all these symptoms are matched then doctors ask for the following test to be conducted in order to confirm for KD. Blood Test for KD: Doctors often ask for the blood test in order to confirm the Kawasaki Disease. The blood test conducted to find out the count of platelets in the blood. In the case of KD, this count gets high which clump together to obstruct blood flow. Urine Test for KD: The urine test helps to find out whether the symptoms are seen due to any other disease or not. This test clears out the actual reason for symptoms. Echocardiogram Test: The Echocardiogram test creates a video or image on the monitor screen showing heart pumping status in the form of waves and also show the sound of heart. This helps in finding out whether there are any abnormalities in a coronary artery. Electrocardiogram Test: The Electrocardiogram test or ECG helps in calculating heart rhythm or heartbeat through an electric device. Electrodes device is attached to the skin of heart and it depicts the heart pumping rate in the form of images or sound. It clears out the complications in the heart. The C-reactive Protein Test: This test is conducted to find out the quantity of C-reactive protein present in blood which clears out the inflammation. The Albumin Test: In the case of Kawasaki Disease there would be a very low level of albumin in blood. This test figures out the actual level of albumin. The Sodium Test: The sodium test is conducted to find out the level of sodium. In the case of Kawasaki Disease, sodium level remains low. Once the KD is confirmed through different tests its treatment procedure has to be initiated instantly in the hospital as this disease includes many complications. So the affected children must be admitted to hospital in order to avoid the further risk associated with the heart. In the initial phase of Kawasaki Disease treatment, some medications are given to the affected children in order to recover them from the suffering condition. Aspirin Therapy: Under the Aspirin Therapy the doses of Aspirin medicine is given to the affected child for treating blood clots accumulation in the blood causing blockage in blood flow. The number of platelets gets increased in the case of KD which causes to create a blockage in blood vessels. This therapy is continued for several weeks until the patients get relieved out of the KD symptoms. Also, the patient is kept under constant monitoring to check out any unexpected side effects like pox etc. The Intravenous Immunoglobulin Therapy: The Intravenous Immunoglobulin therapy helps in decreasing the risk associated with coronary aneurysms. Though it works positively still its working procedure is unclear. The Corticosteroids & Tumor Necrosis Factor Inhibitors: This therapy is applied for the treatment of KD in initial phase under the case if other therapies are not working effectively. Fluids Injected: Under these treatment procedure fluids needs to be provided to the children for avoiding dehydration. If the symptom of KD doesn’t get relieved in the initial phase treatment then a long-term treatment procedure applied for curing it completely. Treatment in this phase been described in the following points. Aspirin therapy will be continued if the coronary artery aneurysm is developing more. If certain side effects like chickenpox or flu are detected in the patient then aspirin doses should be stopped immediately. Though heart problems don’t develop in most of the children still heart should be monitored regularly for avoiding any risk. If any heart issue detected doctors recommend for tests in the regular interval of six to eight weeks. In case the heart issue persists then the kids are referred to a pediatrician specialized in cardiology or heart problems. A heart specialist can better relieve the problem by clear understanding the pain area. For preventing blood clots anticoagulant medicines are given such as Heparin, Aspirin, and Warfarin etc. The coronary artery angioplasty therapy is applied for widening the inflated artery which is already narrowed due to small balloon in the artery. A stent is placed along with the angioplasty for preventing any blockage in future. After going through all these treatment procedures mostly children get completely relieved from KD. Only in very rare case recurrence of Kawasaki Disease is detected in very few numbers of children. 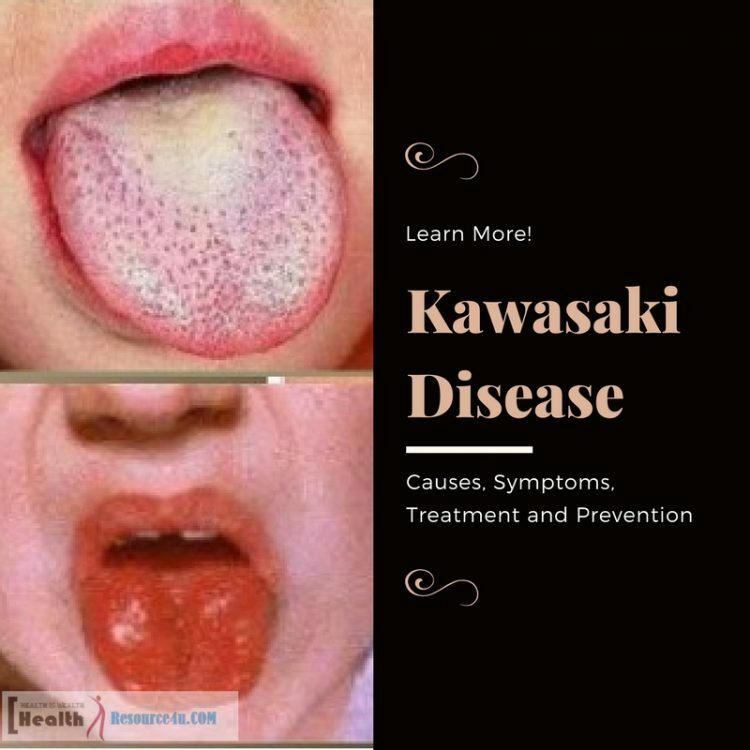 Most of the children who develop Kawasaki Disease get relieved after its treatment so its best prevention procedure is considered to be instant treatment should be given once the symptoms are identified. As accurate causes of KD is not yet been cleared so there is no any fix prevention procedure for preventing it. Only the parents can do for the safer side go for early diagnosis so that any further complication doesn’t occur to the affected children. As we know by the records that KD develops primarily in children aging between six months to five years. So in case of a fever lasting for five days and other symptoms of KD get matched then without making any further delay they should reach to the pediatrician. Proper hygiene and cleanliness should be maintained since the child take birth so that any hidden infection doesn’t occur causing Kawasaki Disease after six months. Children should be protected from the dust and pollution in the roadside area or out of any stagnant water. 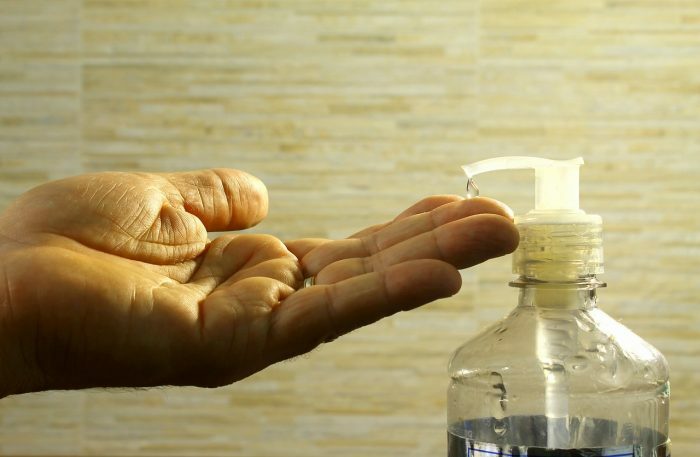 As any infected bacteria or virus can easily attach to the kids under aging five. As Kawasaki Disease mainly spreads in winter seasons so children need special care and attention at this particular time so that they don’t get attacked by KD. KD is one of the rarest diseases but then also if its symptoms get identified, immediate medical treatment should be provided as because any negligence in initial time can cause serious heart problems. If the fever of any child doesn’t get relieved by medication longer than three days then parents should visit the pediatrician without any further delay. All the treatment procedures should be followed strictly without any negligence, recommended by doctors for the healthy life of the children. Also further follow up should be maintained for relieving any complications.